What do you do when it is below zero and the shop heater has no chance raising the temperature above freezing? Thinking, drafting, and planning! My wife spends a tremendous amount of time and energy volunteering and one of her favorite gigs is preparing for a hospice auction. This year I have been roped in to provide a cart that can be used as a bar. I have the picture below to work from. 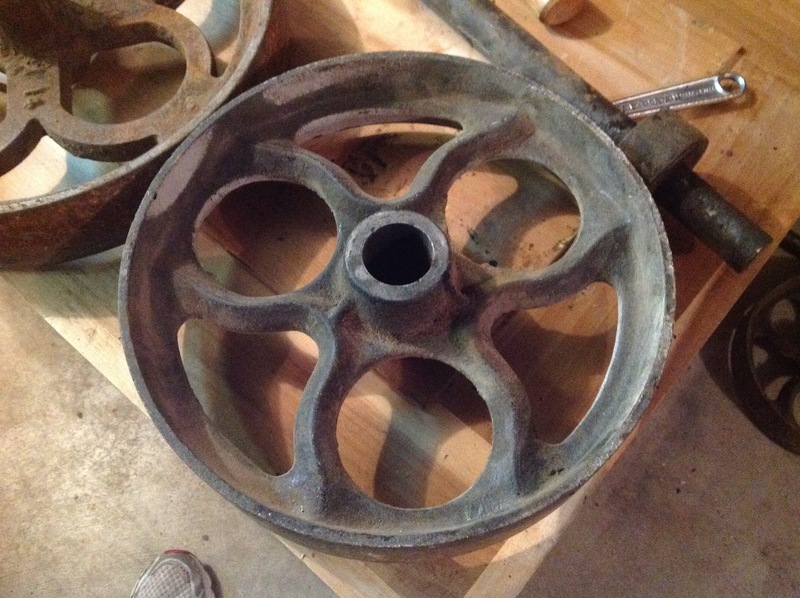 Last weekend we picked up two sets of wheels and axles (I already sense a second cart). 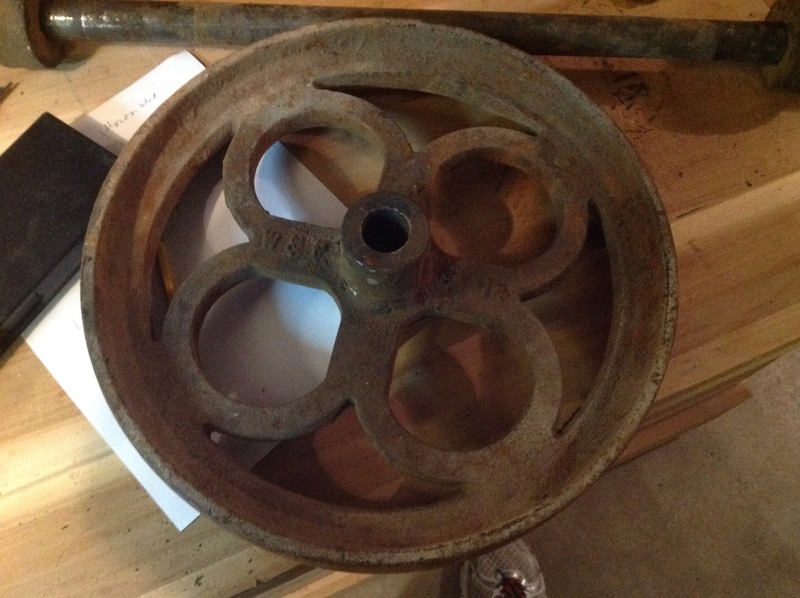 The wheels come from old factory carts and are heavy cast iron with a light coating of rust. After a little bit of searching we found someone to sandblast them and another friend to give them a coat of paint. 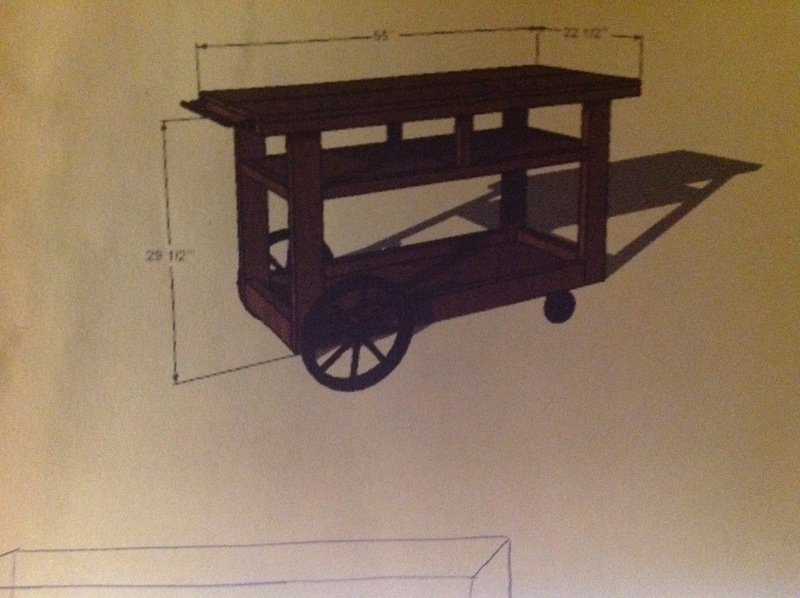 Before sending them off I took some measurements so I could move forward with the cart design. If these things were easy anyone could do it! It didn’t take long before the challenges started to add up. The first set of wheels didn’t fit one of the axles at all. May need some bushings to make them work. The second axle only fits on one of the other wheels the second wheel is 5/32 off ! My quick test fitting when we bought them involved one axle turned end for end into one wheel. Thank goodness for McMaster Carr. 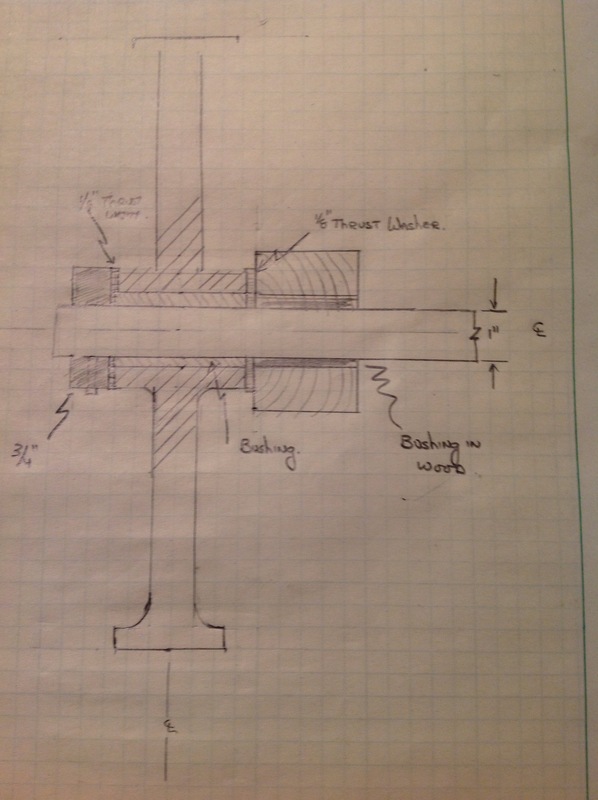 After a few hours of measuring and drawing and I’m ready to order bushings, washers and an axle that should put one set right. Didn’t have much else to do today with the cold so didn’t mind searching the recesses of my brain for what’s left of my engineering degree. That should look really cool when you’re done.